The female pedestrian was struck at around 10 this morning. A WOMAN IN her 80s died after being hit by a truck in Dublin this morning. She was struck by a truck at around 10am at the junction of Ranelagh Road and Chelmsford Close. The woman has been taken to St Vincent’s Hospital for a post mortem. Forensic Collision Investigators are presently at the scene, however Ranelagh Road is back open to traffic after being closed for a time this morning. 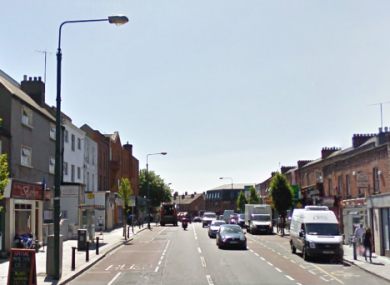 Update: Ranelagh Road is currently open to traffic. No delays as a result of earlier collision. Gardaí at Donnybrook are investigating the fatal road traffic collision. Email “Elderly woman killed after being hit by truck in Dublin”. Feedback on “Elderly woman killed after being hit by truck in Dublin”.